We recently reported about a new beta version for Mobbler, having been updated for Symbian^3 and support for Last.fm's Scrobbling 2.0 API. 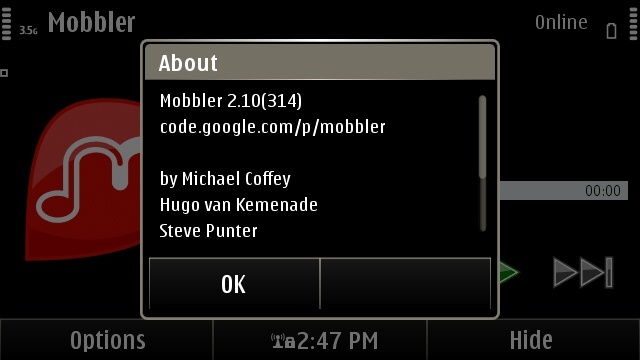 Today the Mobbler team announced via Twitter that the very latest version of Mobbler is available for free download in the Ovi Store. This news means that the features listed for this new version at Mobbler's Wiki for the beta version we already reported on, have now graduated to Mobbler's official release. 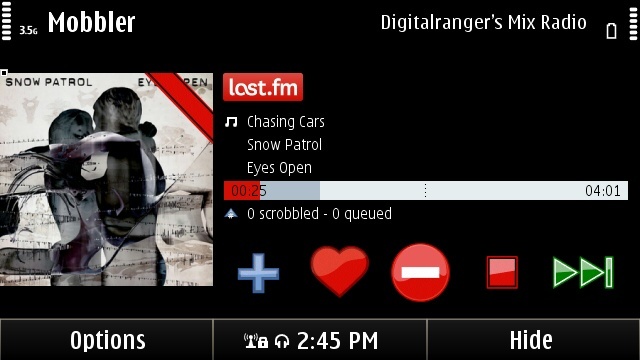 We'd like to applaud Mobbler for their continued work in bringing the Last.fm experience to Symbian users, especially since there are currently no other alternatives. The recent Microsoft partnership news makes it unlikely that a major new project will be launched for Symbian, and so we should expect Mobbler to remain the only way for users to enjoy Last.fm on their Symbian handsets. A summary of changes to Mobbler. David Gilson for All About Symbian, 21st February 2011.